Our selection of door bolts have been chosen to suit any door in a contemporary or period home. Some are even suitable to provide additional security to windows. 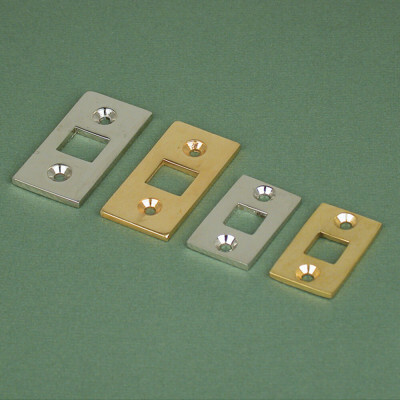 The finishes range from – brass, nickel, bronze, black iron and pewter and most bolts are available in more than one finish and size. 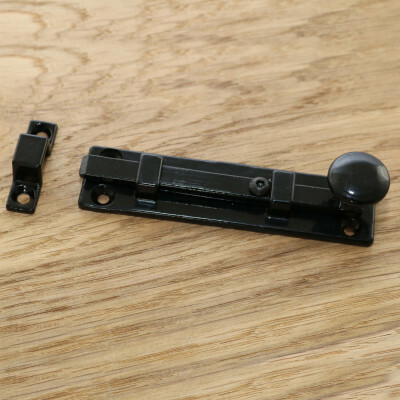 We also sell hardware to complement any of our bolts which includes door knobs, lever handles, casement fasteners and stays and entrance door hardware. *Tip for fitting an bolt in a neat fashion – with the door closed, use a spirit level or set square and draw a line from the door across to the door frame at the level you require the bolt location. Place the bolt on the line and mark the screw holes on the door with a pencil. Drill a shallow hole in the pencil marks to make it easier for the screws to go into the door. Now reposition the bolt and fix it to the door with the screws. With the bolt fixed to the door extend the barrel of the bolt and place the ‘staple’ onto the barrel. With the staple on the barrel, position the staple on the frame and mark the screw holes with a pencil (the reason for putting the staple on the barrel is to make sure they align once they are both fixed) Drill a shallow hole in the pencil marks again and then fix the staple to the door frame.